Visit the 49ers' official website for your daily fix of team information. Will Jimmy Garoppolo be ready for the season opener against Tampa Bay? According to the 49ers quarterback, he expects to be fully cleared by the time training camp opens in July. Former Ohio State pass rusher Nick Bosa is visiting the San Francisco 49ers on Thursday, NFL Network Insider Ian Rapoport reports. The Niners hold the No. 2 overall pick in the draft. How with the San Francisco 49ers divvy up reps between their crowded backfield? Head coach Kyle Shanahan says the running backs will define their own roles ahead of the 2019 season. San Francisco 49ers general manager John Lynch believes the moves made during free agency set his team up to select the best player available with their No. 2 overall pick in the 2019 NFL Draft. The 49ers needed a cornerback. Jason Verrett needed a new team. After missing the entire 2018 season with the Chargers, the one-time Pro Bowler will get a fresh start in San Francisco on a one-year deal. Tevin Coleman is headed to San Francisco. The 49ers and the running back have agreed on a two-year deal worth $10 million, NFL Network Insider Ian Rapoport reported. The 49ers agreed to trade for former Chiefs pass rusher Dee Ford Tuesday night. In a interview following the blockbuster deal, Ford says he intends to be like a Ferrari in the Niners' defense. Hitting the open market paid off for linebacker Kwon Alexander. 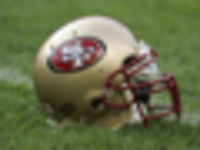 Ian Rapoport reports that the 49ers are expected to sign Alexander to a four-year, $54 million contract, with $27 million in guarantees. A former Super Bowl MVP is remaining with the San Francisco 49ers. Linebacker Malcolm Smith restructured his contract and will remain with the Niners, NFL Network's Mike Garafolo reported. When the Chiefs slapped the franchise tag on premier pass rusher Dee Ford on Monday, they did so willing to part with the linebacker if a market developed for his services. It appears one has. Terrell Owens will become the 28th inductee into the Edward J. DeBartolo Sr. San Francisco 49ers Hall of Fame, the team announced Wednesday. T.O. played eight seasons for the Niners. 4/16 Greg Mabin (CB) Exclusive Rights Signing (exclusive rights signing). 4/15 Cedric Thornton (DT) Reinstated (reinstated). 4/12 Daniel Brunskill (OT) Free Agent Signing (free agent signing). 4/8 Damontre Moore (DE) Free Agent Signing (free agent signing).